Ball, P. (2001). Bright earth: Art and the invention of color. New York: Farrar, Straus and Giroux. Bird, K., & Martin, J. S. (2005). American prometheus: The triumph and tragedy of J. Robert Oppenheimer. New York: Alfred A. Knopf. Silverstein, T. (Ed). (1974). Sir Gawain and the green knight. Chicago: University of Chicago Press. Demos, J. (2001). Real lives and other fictions: Reconsidering Wallace Stegner's Angle of Repose. In Carnes, M. (Ed. ), Novel history: Historians and novelists confront America's past (and each other), (pp. 132-145). New York: Simon and Schuster. Burns, S. (2005). Ordering the artist's body: Thomas Eakins' acts of self-portrayal. American Art, 19(1), 90-102. 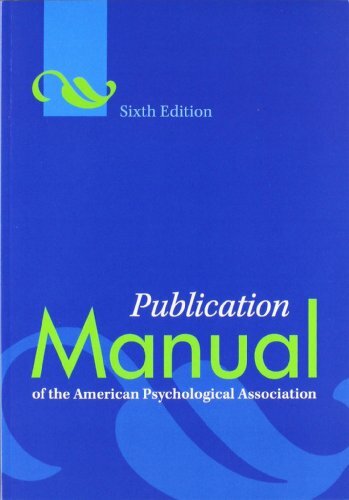 The APA Style Blog is the official companion to the Publication Manual of the American Psychological Association, Sixth Edition.